ALEXANDRIA, Va., Nov. 15, 2018 – More than 3.5 million individuals and families are living healthier lives thanks to programs implemented around the world by United Way. These outcomes are highlighted in United Way’s Global Results Snapshot, and illustrate how United Way has helped people achieve healthier outcomes through a focus on healthier behaviors, health education and improved access to healthcare and health insurance. United Way strives to ensure that people everywhere have access to healthcare and actively take steps to improve their health. To learn more about United Way’s work towards health, please visit: unitedway.org. *The Global Results Snapshot represents data from 249 United Ways, reporting 2017 data in 2018 from their respective metropolitan areas. The Global Results Snapshot is a common, limited set of indicators that United Ways report annually to demonstrate shared impact across their communities. 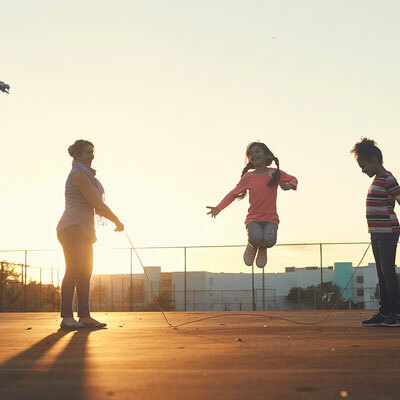 The framework aggregates data based on indicators in key impact areas: childhood success, youth success, economic mobility, access to health, and community engagement. The Town of Many is the parish seat of Sabine Parish, Louisiana. Does United Way offer grants for a town to purchase playground equipment? We desire to replace our old equipment in two different parks to give our children a safe place to play and improve their health and well being. Hi Jane, we would be happy to provide some resources of how our grant cycle operates as well as receive more information from you. Please send a message to Impact@unitedwaynwla.org for further assistance.